Were you a fan of wrestling growing up? Did you grow up in Portland, and if so, who were some of your favorites? I was born in Troutdale, Oregon in 1947. My father was an over the road truck driver (owner operator) and we moved around some. We moved from Troutdale to the Midwest for a while and then back to the Portland area in my high school years. I went to Columbia River High School in Vancouver, Washington and was in the first class to graduate from that new school in 1965. Anywhere I have lived, for as far back as I can remember, I have been a big wrestling fan. When I was a fan in Portland some of my favorite local wrestlers were Shag Thomas, Luther Lindsay, Herb Freeman, Bo Regard, Mad Dog Vachaun, Tuff Tony Borne, Lonnie Mayne, Tito Montez, Dutch Savage, Fuji, & Bull Ramos. In other areas that I lived while growing up, some of my favorite wrestlers were Lou Thez, Jack Peseck, The Duseck Brothers, Verne Gagne, Billy Robinson, Wilber Snyder, Nick Bockwinkle, Ray Stevens, and my all time favorite Danny Hodge. If I remember right, you were trained by Jack Kaiser. Talk a little about him. Jack Kaiser did train me and what a sweetheart he was. Jack was a kind and very considerate man who loved the wrestling business and all the people associated with it. He was a good worker that could shoot if he needed to and he pleased the crowds wherever he wrestled. When I met Jack he was 60 + years old and was very active. He rode motor cycles, had a swimming pool in his back yard, still refereed some of the wrestling matches and worked out on a regular basis. Jack was married to a lovely lady named Maggie. They had so much love in their hearts that they would share their home with little children that were homeless. They shared their lives and love with children that had no one to love or care for them. Jack and Maggie were very wonderful people and I am very proud to call them my friends. Jack was an older man when he agreed to train me. I was concerned that he may not be able to get on the mat and do some wrestling. I thought I may need to be careful not hurt him, brother was I wrong. I should have known better than to worry about Jack because he still was very active with the current wrestlers in the area, refereeing and working with the guys in the ring. Jack was very quick, knew all the wrestling moves, holds, and how to get into and out of them many different ways. What did your training consist of and were you surprised at all? I tried to start my wrestling career in Oregon but ran into a lot of problems. I was living in Portland when I decided that I wanted to leave the ranks of being a devoted fan and become one of the wrestlers. I asked around trying to get information on how to get into the professional wresting business but none of the local wrestlers would talk to me about it. I asked several to train me but they were less than helpful. I asked Dutch Savage and he told me to go get a job driving a truck, Tony Borne told me to go to college and get a real job, Sandy Barr (local referee) told me, “No one breaks into professional wrestling in Oregon kid” and Rocky Montero told me he was too busy to spend the time it would take to train me. No one would give me the information I needed to get into the wrestling business. Finally, a wrestler from Vancouver, BC that went by the name of Lee Kell came to Portland for a few spot shows and to make Portland TV and a house show. I talked to him about the wrestling business, how one would go about getting into it and he actually listened to me. When I was finished he said that he would train me (for a lot of money and in advance) but I could not tell anyone because he would get into trouble with the promotion and the other wrestlers. I questioned the advance payment and Lee said it would be for ordering wrestling gear, gym fees, etc. So like a fool, I agreed to his demands…after all he is the only one that was even helpful. Well as you might have already guessed, that was a very bad decision on my part. He met with me only two times for training and then he left the area (with all my money) and I never heard from him again. I was frantic, my one and only chance to get into the business was gone. I went to every match asking all the local wrestlers if they knew where Lee Kell was but no one knew. The wrestlers got tired of me asking about Lee and they started to ask me why I was trying to locate him. I told them the story of what Lee had done to me and word spread like wild fire. I told anyone that would listen to me, even the wrestling fans. Finally the promoter Don Owen heard the story of what had happened to me and things started to change in my favor. Don Owen was a very professional businessman that did not allow any of his wrestlers doing anything that would bring discredit to his promotion or the wrestling business. Don would not speak to me himself but he talked to a retired wrestler that still refereed named Jack Kaiser and asked him to see if he could help me. Jack talked to me and told me that he thought that I had been taken advantage of and that he would make me a deal. The deal was, he would get into the ring and work out with me one time. At the end of the work out, if he thought I had what it takes to become a professional wrestler then he would train me for free. If I did not impress him, then I had to agree to never bother him, the wrestlers or the promotion again, and of course I agreed. Well he liked what he saw and took me under his wing and introduced me to the wonderful world of professional wrestling. 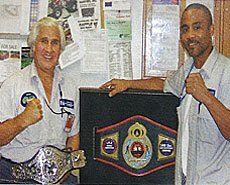 When I was finished with my training and ready to enter the ring I contacted Don Owens. He said that he would not book me because I was a local boy and “green”, meaning that I was inexperienced. Don said, “Go out and get some experience, then call me and I will book you”. While Jack was training me, he would referee some of the out of town matches and I would go with him. I got to meet the local wrestlers and actually talk to them like someone in the business, not a “mark” (someone outside the business). Jack introduced me to a great Mexican superstar named Tito Montez. Jack told him that I was ready for the ring but I needed to get a booking outside of Portland to get some experience. Tito told me that another great star named Kurt Von Steiger was going to open up the Arizona territory and he was looking for some wrestlers to get it started. I talked to Kurt, he booked me and it was off to Phoenix, Arizona to start my full time professional wrestling career. The training consisted of a lot of weight lifting, exercising, running, and actual wrestling in the ring. We did not have a wrestling ring to train in but Jack had a friend that trained boxers and some how he talked his friend into letting us train in a boxing ring. That ring was hard as concrete and I had to learn how to take bumps. I was black and blue all over for months; I had to learn fast to survive. After I had been in training for a while and I thought I knew how to wrestle a little, Jack would tell me “get your best hold kid”, and then he would tie me up so I would look and feel like a pretzel. I sure had a lot to learn. Jack was so talented and I was so very lucky to have him for a trainer. I will never stop being grateful to both Jack Kaiser and Don Owen for giving me the opportunity to fulfill my life long dream of becoming a professional wrestler. Jack and Don wherever you are, “thank you” one more time. Where and when was your first match and who was it against? Jack was excited being back in a pair of wrestling tights and I was extremely excited being in front of a wrestling audience for my very first professional wrestling match. We had a good match. Jack was so talented he could wrestle the main event with a broomstick and have a terrific match. That first match was all it took, I was hooked on being a professional wrestler and I wanted to wrestle every night for the rest of my life. You debuted in Portland on September 17th, 1974. Talk about any memories of your Portland debut. My first match working in the Portland area was a spot show in one of the smaller towns. I worked with Ripper Collins and it was like having the night off. Ripper was so nice to work with. He knew how to work the crowd and how to get the heat when he needed to. We worked the match to a draw and then he came back to the ring for more, 2 or 3 times to get me over with the crowd. What a terrific person and worker. It is rare for locals to return to Portland to wrestle before they have a lot of experience. Was that a topic of discussion when you came in? You are correct; it is rare for anyone to work the Portland area that is inexperienced. When I was working in the Tulsa, Oklahoma area I called Don Owens to see if he would book me in Portland. Grizzly Smith was doing the booking in Tulsa and he told me that Don Owens had called him for an update on me before he would let me come home to wrestle for him and Elton Owens. The wrestlers that were in the Portland area when I came in were curious about me because I was new. The word that Jack Kaiser had trained me spread and it helped me to be accepted. Jack Kaiser also trained Bobby Nickels (another local Portland guy) and he too turned out to be a good worker. The guys were very nice to me and helped me a lot. I remember the first match I had on Portland TV. Sandy Barr was the referee and he told me while giving the instructions at the beginning of the match, “I never thought I would be doing this”. I asked him what he meant and he said, “working with you, congratulations, you made it”. You got a chance to work with a lot of superstars during your time in the Pacific Northwest. Some of the names include Jimmy Snuka, Dutch Savage, Ripper Collins, Bull Ramos, Dale Lewis, Lonnie Mayne, Sgt. Slaughter (Bob Remus), The Kangaroos, Rasputin (Black Angus), Kim Sung Ho, and Rocky Montero. Any memories or stories that you have of the NW wrestlers? Jimmy Snuka: I always envied the”Super Fly”because of the way he could fly off the top turn buckle and cover someone half way on the other side of the ring. He was a body builder before he came in the wrestling business and he always looked terrific. When I first saw Jimmy, he was teamed up with Cowboy Frankie Lane and they worked well together but I think the “Super Fly” was more impressive in singles matches where he was the main attraction. I was very fortunate to be able to work some baby face matches with Jimmy while in the Portland area and I learned a lot from him. Jimmy always was concerned with getting his opponent over with the crowd and then himself, he always made me look good. Dutch Savage: While in Portland I made a trip to Canada to do some shows for the promotion there and Dutch rode with me. It was great to be traveling with one of the superstars of the wrestling business. When I was still a mark (not wise to the wrestling business) in Portland, I had asked Dutch, “how does one go about getting into the wrestling business”, he told me to get a job driving a truck”. Now I was traveling with him and I was a part of the same business. It was very interesting talking with Dutch because he had been in many different wrestling territories and worked with so many great wrestlers. I was in heaven listening to his stories. He was very helpful and did not mind giving new wrestlers good advice to help them advance their careers. Bull Ramos: I worked with Bull in more areas than just Portland and in all the areas he worked he was always a main eventer. Bull was a terrific heel (a bad guy). He was so big and mean looking that it was very easy for a baby face (good guy) to get the sympathy of the crowd and get them involved with the match. Bull was a very big man but he would still sell for the smaller man and make them look good to the fans. I loved to work with Bull, he was great! Ken Mantel: When I worked with Ken it was like having a night off. He was a great baby face and had so many fans that loved him. He would always be willing to show new guys some fancy wrestling moves. Ken was a shooter and could get on the mat and wrestle if he needed to. Ken was a good money maker for the promotions and he really packed the crowds in. Kurt Von Steiger: Kurt was a great heel. He was good in single matches but I loved to see his matches when he was teamed up with Karl Von Steiger. They made a great heel tag team. They ruled the Pacific Northwest for a long time and they were fantastic. Rick Renaldo: I loved to work with Rick for there was never a dull moment in the match. He had bad eyes and without his glasses he did not see very well. During the match, Rick would make faces as he tried to adjust his vision and if I looked him in the face it was hard to keep from laughing. Lonnie Mayne: Lonnie Mayne died in an auto accident before I broke into the business but I always admired his exceptional ability to have every fan in the audience in the palm of his hand throughout the entire match. I will always consider Lonnie to be one of the best wrestlers to put on a pair of tights. Dale Lewis: Dale was good heel to work with. Dale loved to do a lot of wrestling in his matches and was good at getting heat from the crowd. Rasputin: The Black Angus was a very slow worker. All his moves were deliberate nothing fancy. He was a good heel and had no trouble getting heat from the crowds. I liked working with him because the more the crowd hated him the more they loved the guy he was working with. The Kangaroos: Norman Frederic Charles III and Johnny Boyd were terrific. They both moved great in the ring and took good bumps for the baby face. Both of them were great at getting the crowd heated up and they were a good drawing card. I had better matches with Norman than I did with Johnny but I did enjoy working with both of them. Danny Hodge: I traveled many miles with Danny and worked many different towns with him. I have always thought of Danny as being one of the best wrestlers that I have had the pleasure of being around. Now having said all that, I have to confess that I never got the chance to wrestle a match against him. I have had the pleasure of being his partner in tag matches but I never got to wrestle Danny. Whenever I was on the same card as Danny I would always watch his match. I would see new holds or moves and try to remember them and I would work on them until I could do them just as I had seen Danny do them. In towns where we were staying overnight, I would call Danny’s room and get him to go to eat with me and I would pick his brain about wrestling. Sometimes after we were finished with eating we would go back to the motel and he would show me how to do a move or a new hold. God he is a great wrestler and he always had (or made) time to help someone try to learn to be a better wrestler. Danny was not a large man but he could show very large men how to wrestle. Danny Hodge is the icon for professional wrestling in my opinion. Talk a little about Don Owen. How was he to work for? Don was a gentleman and always treated me with respect and dignity. He knew the wrestling business inside and out, knew how to manage people, and how to make money for the promotion and the wrestlers. I enjoyed working for Don. He was responsible for getting Jack Kaiser interested in training me and for that I will always be grateful. What about Elton Owen? Many of the boys liked Don but didn’t care for Elton. Elton was very different from Don. Although they were brothers they were almost complete opposites and ran their towns very differently. I am not in the wrestling business any more but I still respect it and all the people that are or have been involved in it. I won’t say anything bad about Elton, I did get along with him but I had to work hard at it. If I had to choose between the two of them I would much rather work for Don. You were in Portland for almost exactly 6 months. Did Don let you know it was time to go and how did that go? Where did you go after leaving Portland? Don, like all promoters, let the wrestlers know when they needed to move on to another territory to work. Most experienced wrestlers know when it is time to move on with out being told. You can tell when you go to get your pay or your next bookings but if you still can not figure it out the promoters are not bashful about telling you. When I left Portland, I went to work for Dean Silverstone in Seattle, Washington. Dean was terrific to work with. I liked working for Dean better than any promoter I worked for during my career. Dean was an excellent businessman, knew the wrestling business very well and knew how to make money for the promotion as well as the wrestlers. Dean was also a people person. He knew how to treat people well and still get the job done. Dean is a big credit to the wrestling business. He is still very active with the wrestlers and he writes a monthly wrestling magazine that is circulated all over the world. Dean has given so much of his life to the wrestling business and the helping of wrestlers all over the world. I am very honored and proud to have worked for his promotion. He is a member of a wrestling club for active and retired wrestlers (and fans) called the Cauliflower Alley Club. Please check out their website at www.caulifloweralleyclub.org. While you’re there, click on the link “Duane Bailey a.k.a. Don Anderson” to visit my web site which was created by an outstanding artist at Shawn Bailey Art.com of Austin, Texas. I have one result of you working in Vancouver teaming with Mr. Seki and losing to Eric Frolich & bob Remus. Any memories of working in Vancouver? I only remember making one trip to Vancouver to work for Sandra Kolfax. I do remember working with Eric Frolic and Bob Remus. I liked Eric’s style of wrestling. He wrestled, not a lot of blood and guts, and gimmicks just a lot of wrestling, fancy moves and some flying. Let’s talk about the wrestling fans for just a minute and give them a big round of applause and a thank you. The wrestling fans are the real superstars of the business. You see, when a wrestler is in the ring and they have been working hard, they’re hot, sweaty, tired, short on wind and energy and the fans start cheering, chanting, stomping their feet, and screaming, it gives the wrestlers that burst of energy, that second wind, that drive to do what only they can do so well and then it happens like it was magic. The wrestlers explode, come to life and give that breath-taking performance that puts the excitement in the arenas that only can come from a professional wrestling match. Without the fans, there would not be that excitement so let’s hear it for the fans, the unsung heroes of the wrestling business. As Lonnie Mayne use to say, “there is some excitement in the air” and the fans help to put it there. 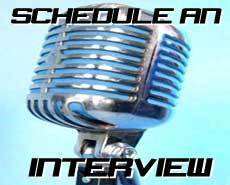 Mike, thank you for taking the time out of your busy schedule to do this interview with me and for letting me share some of my experiences with the wrestling fans. It is a real pleasure to talk about the wrestling business and all the people associated with it. I am very proud to be associated with the business and will forever be grateful for the many friends I have made, all the wonderful experiences I have had wrestling and I will always cherish the memories of my career as a professional wrestler. Please visit my web site and e-mail me to say hello, I would love to hear from you. Thank you.